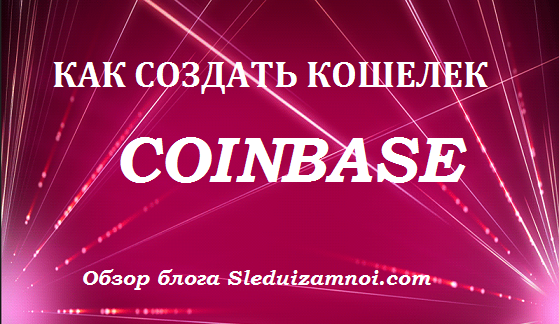 Принимает — Perfect Money, Bitcoin, Payeer, Advanced Cash. Выплаты — ручном режиме с регламентом до 24 часов. Проект «партизанил» пару месяцев и вот только сделал редизайн. В целом, сайт оставляет очень и очень приятное впечатление. Все, что нужно для хорошей и длительной работы , есть. Техническая часть удовлетворит даже самого требовательного инвестора. Тут и лицензионный скрипт GC. Собственно — это одно из небольших отличий с вышеназванным проектом. Верификация от трех монстров в индустрии: компании GeoTrust, сайтов Avg и Trustwave — очень сильный момент для сайта. Проект позиционирует себя, как реальная компания и предлагает ознакомиться с регистрационными документами на компанию. Ссылка ниже, в технической части проекта. Досс защита и SSL от знаменитой компании Comodo. И все это дело венчает грин-бар. Планы проекта с включенным депозитом. И все равно: моя рекомендация заходить только на первые три плана. А если быть до конца честной то, на первый план. Небольшие суммы в проекте выплачиваются инстантом. Остальные — в ручном режиме, в течении 24-х часов. С первого взгляда видно, что проект 1 в 1 похож на ныне работающий и достаточно длительное время, Zinc7. Донор ли это Зинкса или нет — я не знаю. Администратор уверяет, что планы в проекте направлены больше на азиатский сегмент инвесторов. Что я хочу этим сказать — пока не вносите огромные депозиты. Заходите на первый план и небольшими суммами. Пусть проект поработает и докажет свою платежеспособность. Помните о рисках ! Мой депозит в проекте $200. Forex Union Finance Limited – трейдинговая компания, управляющая собственным оборотным капиталом, средствами инвесторов и размещающая эти активы как на рынке Forex, так и на ведущих мировых биржах и рынках ценных бумаг. Поскольку основным видом деятельности Forex Union Finance Limited являются спекулятивные торги валютными парами на Forex, то, соответственно, основа коллектива компании состоит из первоклассных Forex-трейдеров и аналитиков валютных курсов и индексов. Всякий раз, когда наши трейдеры дают положительный прогноз в отношении того, или иного индекса, компания начинает активную работу по покупке или продаже валютных средств на Forex. В зависимости от того, насколько быстро заключаются сделки, а также от величины оборотного капитала, формируется определенный объем прибыли, который распределяется между сторонами-участницами инвестиционного процесса, формируя, таким образом, прибыль для всех заинтересованных сторон. Депозит возвращается в конце срока вклада. Accounts: U133***->U12665984. Memo: Shopping Cart Payment. Deposit to forexunion-ltd.com User SleduiZaMnoicom.. Date: 08:58 14.02.17. Batch: 164270084. Следующая Телеграм бот- инвестируйте правильно. Заказ рефбека. 22.02.17 14:49 Received 1.05 USD from account U12665984 to account U94*****. Batch: 165480035. Memo: API Payment. Withdraw to slyfox from forexunion-ltd.com. Выплата: The amount of 1.05 USD has been deposited to your Perfect Money account. Accounts: U12665984->U110*****. Memo: API Payment. Withdraw to Nicusya from forexunion-ltd.com.. Date: 19:32 21.02.17. Batch: 165365857. Received Payment 0.53 USD from account U12*. Memo: API Payment. Withdraw to Iricha from forexunion. The amount of 2.5 USD has been deposited to your Perfect Money account. Accounts: U12665984->U133****. Memo: API Payment. Withdraw to SleduiZaMnoicom from forexunion-ltd… Date: 07:46 21.02.17. Batch: 165267557. The amount of 2.5 USD has been deposited to your Perfect Money account. Accounts: U12665984->U133****. Memo: API Payment. Withdraw to SleduiZaMnoicom from forexunion-ltd… Date: 20:37 20.02.17. Batch: 165219582. The amount of 4.6 USD has been deposited to your Perfect Money account. Accounts: U12665984->U1339252. Memo: API Payment. Withdraw to SleduiZaMnoicom from forexunion-ltd… Date: 15:22 21.02.17. Batch: 165331043. 21.02.17 13:55 Received 1.05 USD from account U12665984 to account U94*****. Batch: 165318900. Memo: API Payment. Withdraw to slyfox from forexunion-ltd.com. Выплата:The amount of 1.05 USD has been deposited to your Perfect Money account. Accounts: U12665984. Memo: API Payment. Withdraw to Lewa168 from forexunion-ltd.com.. Date: 21:03 20.02.17. Batch: 165222594. The amount of 4.6 USD has been deposited to your Perfect Money account. Accounts: U12665984->U133****. Memo: API Payment. Withdraw to SleduiZaMnoicom from forexunion-ltd.. Date: 08:59 20.02.17. Batch: 165111136. The amount of 7.5 USD has been deposited to your Perfect Money account. Accounts: U12665984->U133****. Memo: API Payment. Withdraw to SleduiZaMnoicom from forexunion-ltd.com.. Date: 19:28 19.02.17. Batch: 165048128. The amount of 2.5 USD has been deposited to your Perfect Money account. Accounts: U12665984->U133****. Memo: API Payment. Withdraw to SleduiZaMnoicom from forexunion-ltd… Date: 08:59 20.02.17. Batch: 165111085. The amount of 1.26 USD has been deposited to your Perfect Money account. Accounts: U12665984->U565****. Memo: API Payment. Withdraw to profitplus from forexunion-ltd.com.. Date: 23:42 18.02.17. Batch: 164942854. 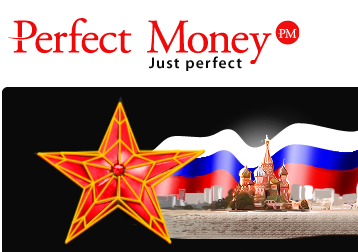 Выплата:The amount of 51.05 USD has been deposited to your Perfect Money account. Accounts: U12665984. Memo: API Payment. Withdraw to Lewa168 from forexunion-ltd.com.. Date: 19:42 19.02.17. Batch: 165049803. 19.02.17 19:07 Transfer Sent Payment: 50.00 USD to account U12665984 from U94*****. Batch: 165045856. Memo: Shopping Cart Payment. User slyfox. Новый депозит: The amount of 50 USD has been withdrawn from your Perfect Money account. Accounts: U110*****->U12665984. Memo: Shopping Cart Payment. Deposit to forexunion-ltd.com User Nicusya.. Date: 19:00 19.02.17. Batch: 165044922. Возврат депозита и процентов. Инстантом! 02.19.17 18:02	Account	Receive	+53.15	Received Payment 53.15 USD from account U12665984 to account U40*****. Batch: 165037143. Memo: API Payment. Withdraw to kipariss from forexunion-ltd.com. выплата The amount of 1.05 USD has been deposited to your Perfect Money account. Accounts: U12665984->U127*****. Memo: API Payment. Withdraw to smakshen from forexunion-ltd.com.. Date: 09:54 19.02.17. Batch: 164983276. Выплата и возврат депозита: The amount of 51.05 USD has been deposited to your Perfect Money account. Accounts: U12665984->U110*****. Memo: API Payment. Withdraw to Nicusya from forexunion-ltd.com.. Date: 15:45 19.02.17. Batch: 165022167. The amount of 4.6 USD has been deposited to your Perfect Money account. Accounts: U12665984->U133****. Memo: API Payment. Withdraw to SleduiZaMnoicom from forexunion-ltd.com.. Date: 12:38 18.02.17. Batch: 164877287. Received Payment 0.31 USD from account U12665984. Memo: API Payment. Withdraw to Iricha from forexunion-ltd.com. Sent Payment 25.00 USD to account U12665984. Memo: Shopping Cart Payment. Deposit to forexunion-ltd.com User Iricha. выплата The amount of 1.05 USD has been deposited to your Perfect Money account. Accounts: U12665984->U127*****. Memo: API Payment. Withdraw to smakshen from forexunion-ltd.com.. Date: 10:35 18.02.17. Batch: 164863345. Выплата:The amount of 1.05 USD has been deposited to your Perfect Money account. Accounts: U12665984. Memo: API Payment. Withdraw to Lewa168 from forexunion-ltd.com.. Date: 16:34 18.02.17. Batch: 164904523. Выплата: The amount of 1.05 USD has been deposited to your Perfect Money account. Accounts: U12665984->U110*****. Memo: API Payment. Withdraw to Nicusya from forexunion-ltd.com.. Date: 14:16 18.02.17. Batch: 164887759. The amount of 4.6 USD has been deposited to your Perfect Money account. Accounts: U12665984->U133**** Memo: API Payment. Withdraw to SleduiZaMnoicom from forexunion-ltd.com.. Date: 10:58 17.02.17. Batch: 164721371.
выплата The amount of 1.05 USD has been deposited to your Perfect Money account. Accounts: U12665984->U127*****. Memo: API Payment. Withdraw to smakshen from forexunion-ltd.com.. Date: 11:32 17.02.17. Batch: 164725896. Выплата: The amount of 1.05 USD has been deposited to your Perfect Money account. Accounts: U12665984->U110*****. Memo: API Payment. Withdraw to Nicusya from forexunion-ltd.com.. Date: 15:29 17.02.17. Batch: 164759359. The amount of 0.63 USD has been deposited to your Perfect Money account. Accounts: U12665984->U981****. Memo: API Payment. 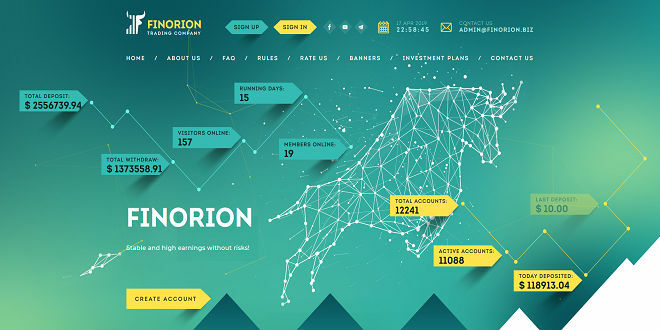 Withdraw to investingnp from forexunion-ltd.com.. Date: 13:17 16.02.17. Batch: 164590028.
выплата The amount of 1.05 USD has been deposited to your Perfect Money account. Accounts: U12665984->U127*****. Memo: API Payment. Withdraw to smakshen from forexunion-ltd.com.. Date: 14:00 16.02.17. Batch: 164595608. The amount of 10 USD has been deposited to your Perfect Money account. Accounts: U12665984->U133****. Memo: API Payment. Withdraw to SleduiZaMnoicom from forexunion-ltd.com.. Date: 12:24 16.02.17. Batch: 164582378. The amount of 10 USD has been deposited to your Perfect Money account. Accounts: U12665984->U133**** Memo: API Payment. Withdraw to SleduiZaMnoicom from forexunion-ltd.com.. Date: 18:17 16.02.17. Batch: 164630691. The amount of 5.1 USD has been deposited to your Perfect Money account. Accounts: U12665984->U133****. Memo: API Payment. Withdraw to SleduiZaMnoicom from forexunion-ltd.com.. Date: 12:24 16.02.17. Batch: 164582438. Выплата: The amount of 1.05 USD has been deposited to your Perfect Money account. Accounts: U12665984->U110*****. Memo: API Payment. Withdraw to Nicusya from forexunion-ltd.com.. Date: 18:38 16.02.17. Batch: 164633508. Выплата:The amount of 1.05 USD has been deposited to your Perfect Money account. Accounts: U12665984. Memo: API Payment. Withdraw to Lewa168 from forexunion-ltd.com.. Date: 07:15 16.02.17. Batch: 164541305. The amount of 7.5 USD has been deposited to your Perfect Money account. Accounts: U12665984->U133****. Memo: API Payment. Withdraw to SleduiZaMnoicom from forexunion-ltd… Date: 09:20 15.02.17. Batch: 164411471. The amount of 4.6 USD has been deposited to your Perfect Money account. Accounts: U12665984->U133****. Memo: API Payment. Withdraw to SleduiZaMnoicom from forexunion-ltd… Date: 09:20 15.02.17. Batch: 164411374. The amount of 0.63 USD has been deposited to your Perfect Money account. Accounts: U12665984->U981****. Memo: API Payment. Withdraw to investingnp from forexunion-ltd.com.. Date: 13:21 15.02.17. Batch: 164443050. Инстант The amount of 2.3 USD has been deposited to your Perfect Money account. Accounts: U12665984->U….. Memo: API Payment. Withdraw to….from forexunion-ltd.com.. Date: 17:42 15.02.17. Batch: 164479032. Выплата: The amount of 1.05 USD has been deposited to your Perfect Money account. Accounts: U12665984->U110*****. Memo: API Payment. Withdraw to Nicusya from forexunion-ltd.com.. Date: 15:26 15.02.17. Batch: 164460042. Депозит The amount of 50 USD has been withdrawn from your Perfect Money account. Accounts: U127*****->U12665984. Memo: Shopping Cart Payment. Deposit to forexunion-ltd.com User smakshen.. Date: 18:33 14.02.17. Batch: 164343398. The amount of 10.75 USD has been deposited to your Perfect Money account. Accounts: U12665984->U133**** Memo: API Payment. Withdraw to SleduiZaMnoicom from forexunion-ltd.com.. Date: 11:00 14.02.17. Batch: 164285032. The amount of 5 USD has been deposited to your Perfect Money account. Accounts: U12665984->U133****. Memo: API Payment. Withdraw to SleduiZaMnoicom from forexunion-ltd.com.. Date: 17:01 14.02.17. Batch: 164332593. The amount of 2.25 USD has been deposited to your Perfect Money account. Accounts: U12665984->U133****. Memo: API Payment. Withdraw to SleduiZaMnoicom from forexunion-ltd.com.. Date: 13:36 14.02.17. Batch: 164305210. Депозит: The amount of 50 USD has been withdrawn from your Perfect Money account. Accounts: U110*****->U12665984. Memo: Shopping Cart Payment. Deposit to forexunion-ltd.com User Nicusya.. Date: 14:06 14.02.17. Batch: 164309243. The amount of 30 USD has been withdrawn from your Perfect Money account. Accounts: U981****->U12665984. Memo: Shopping Cart Payment. Deposit to forexunion-ltd.com User investingnp.. Date: 12:29 14.02.17. Batch: 164296744. The amount of 15 USD has been withdrawn from your Perfect Money account. Accounts: U565****->U12665984. Memo: Shopping Cart Payment. Deposit to forexunion-ltd.com User profitplus.. Date: 09:19 14.02.17. Batch: 164272931. Депозит The amount of 100 USD has been withdrawn from your Perfect Money account. Accounts: U8024429->U Memo: Shopping Cart Payment. Deposit to forexunion-ltd.com User EffectProfitCom.. Date: 09:20 14.02.17. Batch: 164273055.